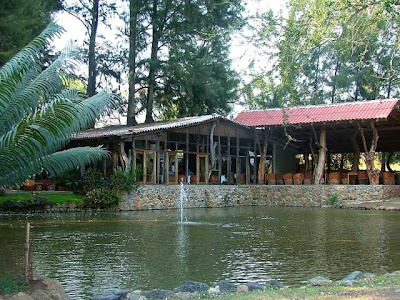 Tonila is located on the old highway 54 just off the new carretera 54D and is only a few kilometers from the Colima border. 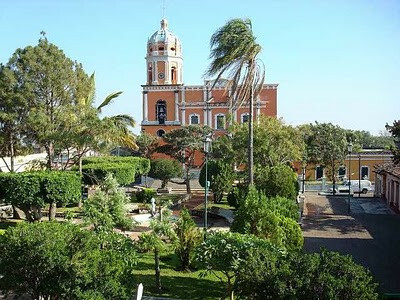 It's a pretty little town, easy to get to and great views of the Colima volcano. Although most of the outflow of the volcano is coming off the other side of the mountain lately, Tonila often gets it's share of ash when the wind is right/wrong. 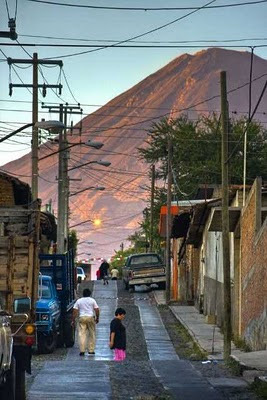 The old highway winds along the base of the mountain with a number of small towns between Tonila and Colima City. Heading into Jalisco from there you can take the slow but beautiful drive through the valley towards Tuxpan which is at the edge of the plateau.